Where Do I Go for Car Accident Treatment? If you were injured in a car accident, and are thinking of getting treatment, then reading the article below is crucial to make sure you don’t make a huge mistake that will end up costing you your health. Reading the article below can completely change the outcome of your treatment. If you were involved in a car accident, and you were injured, the more quickly the inflammation and swelling can be reduced, the better off you will be. If you think you have been seriously injured, you should begin with the hospital Emergency Room to rule out fracture and dislocation. This is especially important in the spine, as a fracture or dislocation could lead to permanent injury of the spinal cord or nerve roots, and possibly lead to paralysis or death. The emergency doctors will also check your vital signs and perform other tests like recording your blood pressure and heart rate, which may be altered in the case of internal injuries. They will refer you to emergency surgery if needed. If you are fortunate enough to avoid surgery, then you will probably be given a prescription for pain killers and muscle relaxers, and then sent home. It will be up to you to decide if you want follow up treatment. You will likely have many symptoms that are not resolved with pills, but not major enough for surgery. These symptoms include things like painful muscles and joints that make it difficult to move, and difficulty with daily activities like walking the dog, playing with your children or even putting on your shoes and socks. If you do decide to see a chiropractor for treatment of your injuries, there are a number of things that you should look for. The most important, in my opinion, is a chiropractor who uses active rehabilitation as part of your recovery. You see, the body goes through different stages of healing during your recovery. The first is the corrective stage, where the treatment is focused on symptom relief. The goal is to reduce pain, inflammation and swelling as quickly as possible. This allows you to get back to your normal life. The second stage is focused on helping the body to heal properly. When muscles, tendons and ligaments are damaged, they heal themselves by laying down scar tissue. Unfortunately, the body does a sloppy job with this. The chiropractor can help to make sure all of your joints are lined up properly and that those joints continue to remain free and mobile during this healing stage. This will help to insure that you don’t lose your joint movement from your body’s healing process. The third stage is the rehab stage. When a person is injured, muscles contract and spasm to protect damaged tissues. Some of these tissues remain short and contracted, not allowing for proper movement, and leave the potential for chronic pain and future re-injury. Other muscles will become weak over time because you won’t be using them. It will hurt to move, so you will avoid movement. It’s similar to someone who breaks an arm, and wears a cast for 8 weeks. When the cast is removed, the arm doesn’t look like the other. It is weak and skinny. This same process happens to the muscles that protect and stabilize your neck and back. If active rehab is not part of your overall treatment plan, then you are setting yourself up for chronic problems, and future re-injury. There is a whole other level of care beyond the typical pain killers and hot pads. 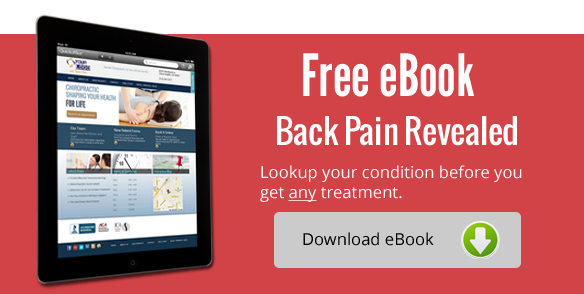 Without a proper treatment plan specifically designed for you, and designed to correct specific problems of weakness, instability, or other faulty movement patterns after the initial pain has been removed, you are not getting the complete care available to you. This leaves you vulnerable to chronic injury, and makes it more likely that you will re-injure the same area in the future. Chiropractors are not the same. They take completely different approaches to patient care. Don’t take a chance. Our office takes this complete approach to care, and can take you through all three stages of treatment leading to a pain free, strong, flexible, complete recovery. As a Citrus Heights Chiropractor, I have been helping people with car accident treatment for years. If you think you need car accident treatment in Citrus Height, please call us as soon as possible so that we can complete your consultation, and determine if treatment at this clinic would be appropriate in your case. Furthermore, we can handle your insurance needs, paperwork and help you find excellent legal representation.